My readers are most likely to know Andrew Bleiman as my SciBling from the Zooillogix blog, a witty and fun blog about animals and curious things they do. 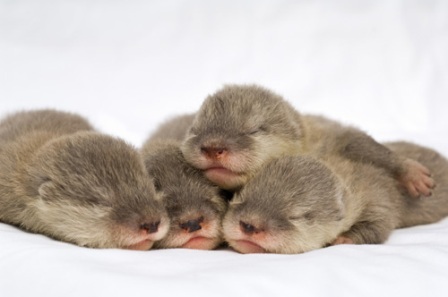 You may not be aware that he also runs a blog called Zooborns which highlights the animal babies. 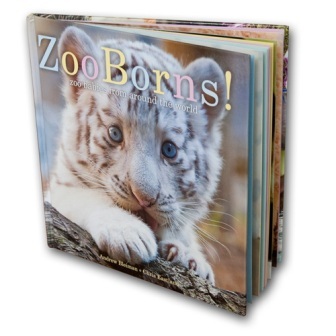 Recently, Andrew teamed up with photographer Chris Eastland and produced two books of Zooborns – one, ZooBorns for a little bit bigger children, and the other, ZooBorns! : Zoo Babies from Around the World, for very little kids. Let’s say the first is for kids who can read on their own, and the latter for kids who need to be read to. When the books arrived the other day, we read them together, the whole family. Actually, “reading” may be an overstatement. We were loudly oooooohing and aaaaaaahing at each page. Those baby animals are sooooo cute! Of course, that’s the point! Hook ’em young with charismatic megafauna! Or even better – with irresistible babies of animals not usually deemed ‘charismatic’. Perhaps they will want to learn more when they grow up – the information provided in the books is a great hook to get them to want to learn more. Or they will grow up being aware of conservation efforts. Or they will keep us elders hostage by constantly nagging us to keep those species around for a couple of decades more so they can go and see them when they grow up! On that last point, the books can help you a little bit as 10% of proceeds from the sale of every book goes to support the AZA’s (Association of Zoos and Aquariums) Conservation Endowment Fund. Holidays are coming soon. 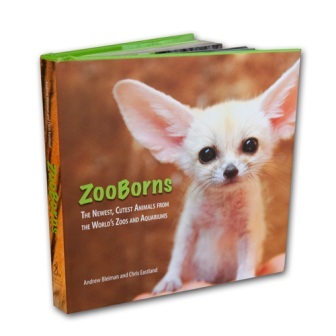 If you were wondering what presents to get the small and big children in your family, now you know – a bunch of copies of ZooBorns! books! This entry was posted in Books, Environment, Science Education. Bookmark the permalink. Thanks Bora. I created ZooBorns as the site I wished I had access to when I was 10. Instead my brother and I practically destroyed our animal encyclopedias over months of “guess the obscure animal” contests. Nothing wrong with giving-in to primitive impulses if all that comes of it is appreciating a fine baby critter. Oh! Now I know what I’m getting my nephew for Hanukah! 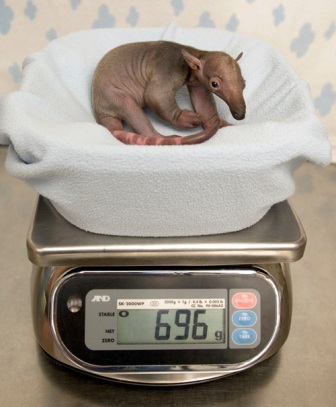 It makes me wonder, though, if there’s any attempt by zoo staff to wear anteater masks or show anteater puppets when dealing with a baby anteater so that the young don’t get imprinted on humans for a mating image. Or is that just a worry with birds? 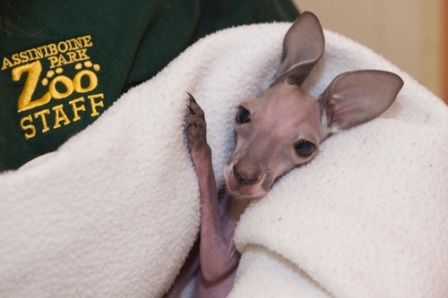 The staff at the International Crane Foundation in Wisconsin use a concealing outfit with a crane puppet arm when going near the baby cranes, for that reason.